You will be asked to provide information such as your contact details. We will store this data and hold it on file. We will use this data to fulfil our agreement with you. We will take all reasonably practicable steps to ensure that personal data is accurate, up-to-date and kept no longer than necessary. To register you with our website and for the administration of our website services. For assessment and analysis to enable us to review, develop and improve the services which we offer and to enable us to provide you and other customers with relevant information through our marketing programmes. We may supplement the information that you provide to us with information that we receive from third parties. In order to protect our customers and ourselves from fraud and theft, we may pass on information that we obtain from making identity checks and other information in our customer records, including how you conduct your account, to financial and other organisations including law enforcement agencies, involved in fraud prevention and detection, to use in the same way. To employees for the administration of any accounts, products and services provided to you now or in the future. Agents who (on our behalf) profile your data so that we may tailor the goods/services we offer to your specific needs. To anyone to whom we transfer or may transfer our rights and duties under our agreement with you. If we have a duty to do so by law. We endeavour to take all reasonable steps to protect your personal information. However, we can not guarantee the security of any data you disclose on-line. You accept the inherent security risks of providing information and dealing on-line over the Internet and will not hold us responsible for any breach of security unless this is due to our negligence or wilful default. For further information about the steps we take to protect your information and make online ordering as secure as possible, please contact our Data Controller. You have the right to see personal data that we keep about you, as defined in the Data Protection Act, upon receipt of a written request. If you are concerned that any of the information we hold on you is incorrect, please contact us. A “cookie” is a small text file that’s stored on your computer, tablet or phone when you visit a website. Cookies are not computer programs and they cannot spread viruses. They cannot access other information stored on your computer. If you want to know more about how cookies work and how to manage or delete them, visit the World Wide Web Consortium's website (or, for third party cookies, visit www.youronlinechoices.com). Alternatively, you can search the internet for other independent information on cookies. We recommend that you accept cookies from our website, as you will not be able to use our online shopping service without them, and it would make it difficult for us to identify future improvements to services based on tracked visitor behaviour. These cookies are essential for the normal operation of the website. They enable the website to remember things from one page to the next. If you block these cookies, the website will not remember what you add to your shopping basket. These cookies are automatically deleted from your computer at the end of your web browser session or when your web browser is closed. Web browser check check This cookie is used to check whether essential cookies are disabled. This cookie is automatically deleted from your computer at the end of your web browser session or when your web browser is closed. Consent consent If we have asked for your consent to store a cookie on your computer for a particular purpose, this consent cookie may be present. If you delete or block this cookie, our website might repeatedly ask for your consent each time you visit any page of our website. Binding Bazaar is not responsible for the contents or reliability of any 3rd party websites linked from this site and does not necessarily endorse the views expressed within them. Listing should not be taken as endorsement of any kind. We cannot guarantee that these links will work all of the time and we have no control over the availability of the linked pages. 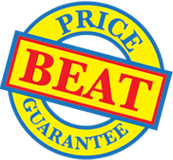 Price Beat Guarantee: We guarantee to beat any price you’ve been offered! If you see or buy a product from us and find it cheaper and in stock from a UK based competitor for the same quantity and on the same delivery terms then we’ll beat that price for you when you buy.